This December I got two new commissions. 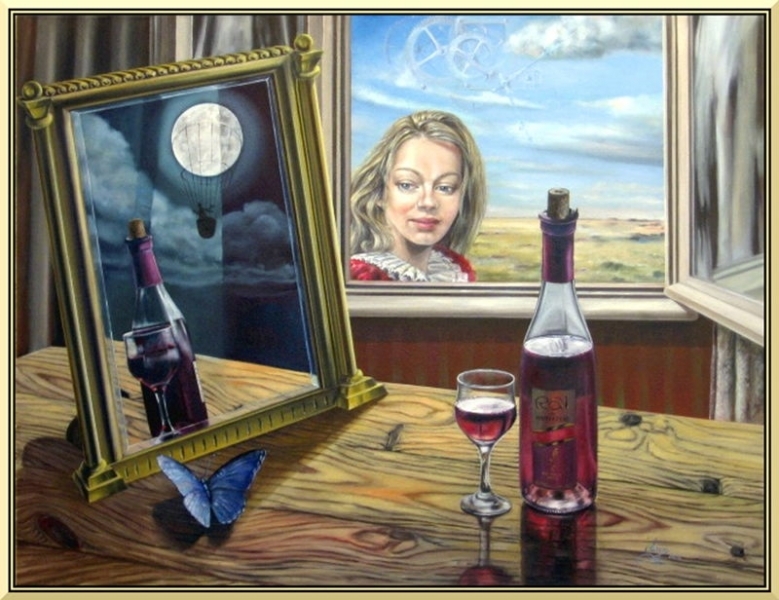 A still life and a surrealistic portrait inspired by one of my old surrealistic painting “Transgressing the time” which I’ve posted here instead of the commission. You can see the classical still life oil painting in this post but I cant post the surreal commission picture because the commissioner asked me not to publish it. 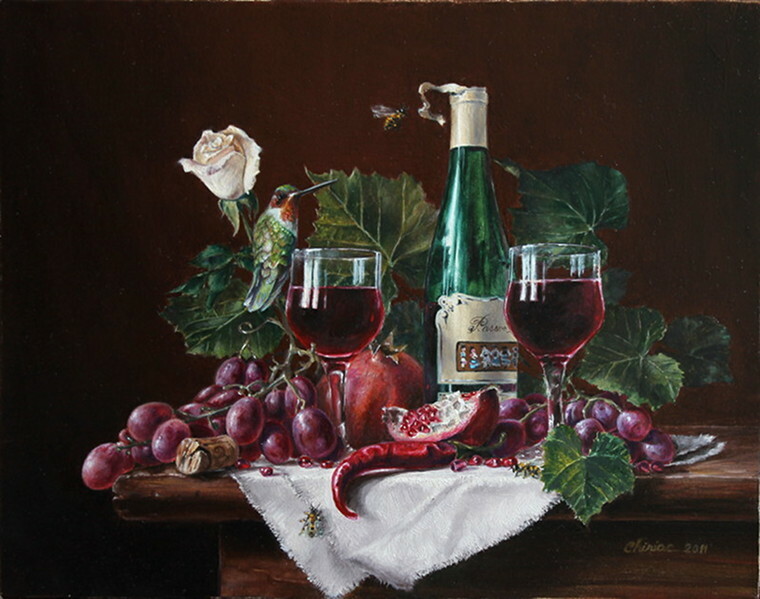 The classical painting has a lot of elements on its composition such as wine, pomegranate, hot pepper, hummingbird, rose and bees. Someone may find it a bit more busy but I think I manage to fit them pretty well in the canvas space. I didn’t make any video of the surrealist painting but here’s posted another surrealist painting in progress, that I made and that’s the winner of the first place of an art contest.